We have been working with Swisse and Rick Hay, Nutritionist for the past few weeks, looking at vitamins and nutrition for our whole family. Swisse's mission is to help people live healthy and happy lives. After discussions with Rick Hay about our diet as a family and the exercise we get, he decided which vitamins and supplements would suit our family. We're generally a pretty happy family and I'm quite chilled out about life and since completing Couch to 5K I now run 5K three times a week, along with some swimming and pilates. We’ve started taking daily multivitamins and some extra supplements for when we feel we need them most. One of the main things I have noticed since taking the vitamins is the entire family’s vibrant yellow wee. It’s spectacular. Don’t worry, I haven’t taken a photo, that would be odd! Joking aside, I have found that the 'Immune and Elderberry' have spared me more than one winter cold. It's not like me to get colds, but after four flights in ten days in October and fellow passengers liberally sharing their germs, I took the immune and elderberry once a day when I woke up feeling under the weather and it seemed to fend off the colds really well. Overall I am finding that I have a little more energy than before. I'm hoping that the magnesium is going to help with the calf tightness I get from running. 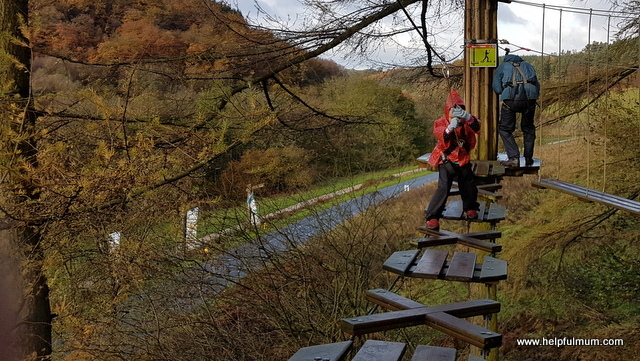 Last Sunday, Swisse treated our family to a day out at Go Ape in Dalby Forest. As both children are too young to do the full course, we took on the Junior Tree Trek. It was a cold, wet and miserable day, which meant the odds were in our favour that we would be the only family mad enough to be outdoors in it. We were prepared though, and went with our waterproof trousers and ponchos to go on top of the kids’ coats. We were indeed the only family there, which was great. We did something similar in the summer and it too absolutely ages because the people in front of us were going so slowly! I am so impressed with my children, especially my daughter who is only five and despite a couple of wobbles, completed the course with ease the next time round. As we were the only family doing it, we were able to go round three times, which was brilliant fun. The course starts with steep steps up and you then follow a small route around, which has a handrail to hold on to if you need it. This is loop one, which you finish off with a zipwire back down to the ground again. 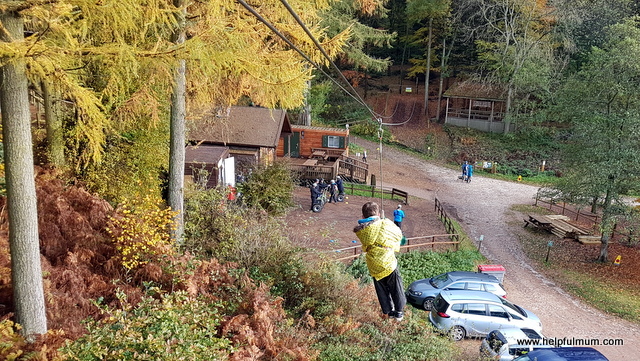 I’m not going to lie, zipwires are not my favourite thing in the world, and I tend to prefer it if there is someone to push me off at the top. My kids have no fear though and launch themselves off the tiny platform whilst whooping and squealing. We then walked back up and took on loop 2, which is slightly trickier and has no handrail to hold on to. This was far more of a challenge, and required some nerves of steel at points. My son managed to end up dangling with his feet hanging off one obstacle which was quite entertaining. I’m sure we were meant to help him rather than just laugh, but he got himself upright in the end! Loop 2 ends with the very same zipwire and because we still had time, we chose to go on loop two again. Both children have been taking the Junior Ultivites, which certainly seem to be helping them with their energy levels. It was a brilliant experience and so much fun to do it together as a family. Learning how we all work under pressure and which obstacles we might need a little help on was really good fun. 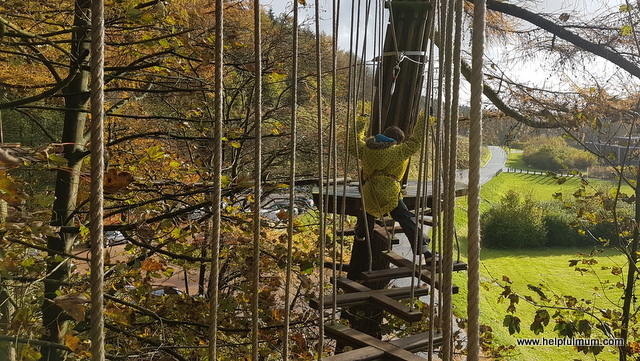 Although I’m not great at heights, it was brilliant fun to do together, and I think it’s important for my children to see me taking on tasks that I am not necessarily looking forward to! Thank you so much to Swisse for sending us out for the day as a family. 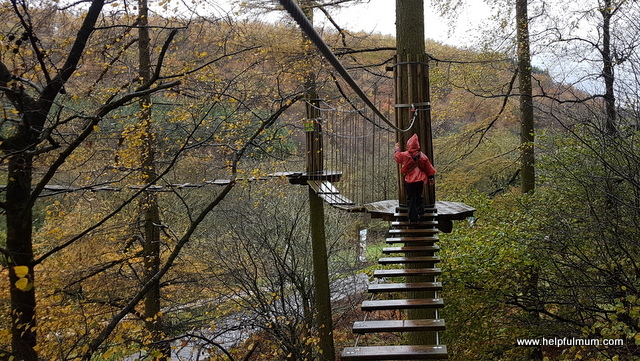 We would never have ventured out in that awful weather if it hadn’t have been for Go Ape, and it meant we all got some exercise too. 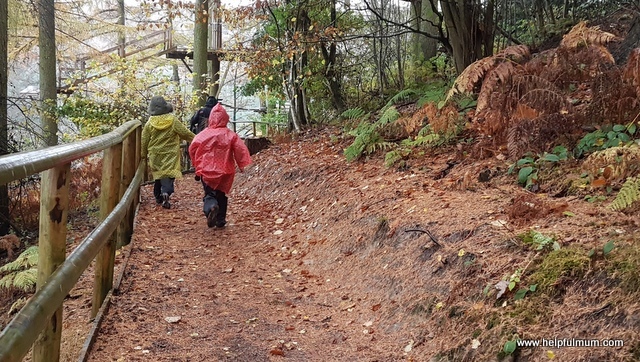 Disclosure: We received a selection of multivitamins and suppements and were treated to a day out at GoApe Dalby Forest. All opinions are my own.